WESTPORT — The Black Duck is rising from a near-death after announcing on Tuesday the 40-year-old riverfront restaurant would close. “We are beyond pleased to announce that after many days of discussions with our creditors, landlord, and investors, the Duck has been able to secure a financial package which will allow us to continue operations (hopefully for the next 40 years!! ),” a note posted on the Black Duck Cafe Facebook page Friday morning read. In the few days since the historic Westport bar announced it would close, patrons donated to a GoFundMe account to resuscitate the Saugatuck River establishment and flocked to the Black Duck to mourn the bar’s closure. As of Friday afternoon, the donation page was no longer active. Despite the bar’s large following, business isn’t what it used to be, co-owner Pete Aitkin, who opened the restaurant in April 1978 told Hearst Connecticut Media on Wednesday. In order to cope, the business transitioned to focus more on being a restaurant and less on hard alcohol. “We do a lot more food than we used to; we just don’t sell that much liquor,” Aitkin said. 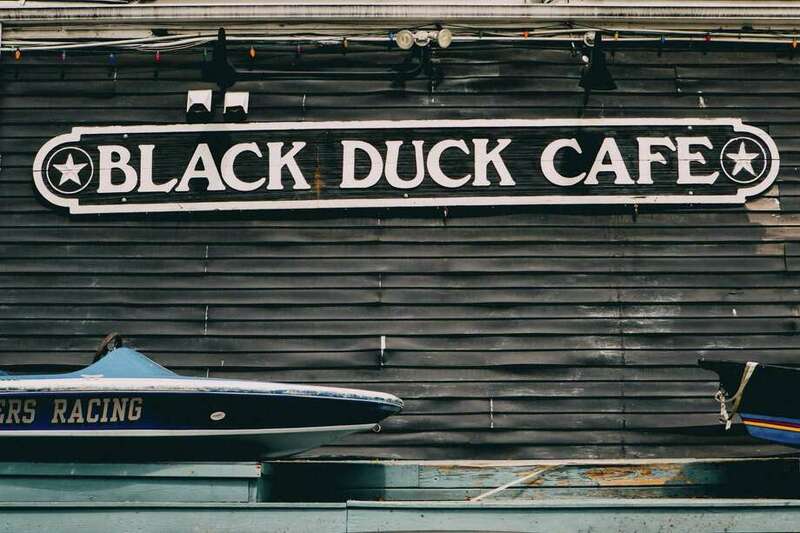 The Black Duck’s reputation as a summer destination also impaired the bar’s ability to be successful in Connecticut’s many colder months, he said. To celebrate, the Black Duck will hold a party on Sunday with happy hour prices all day, its Facebook page said.